One of the biggest questions to ask when planning for retirement. 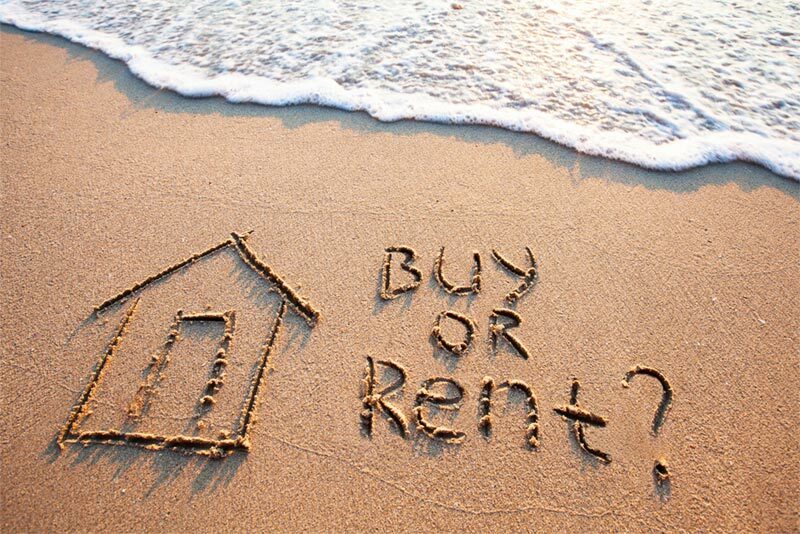 It is a question that many potential home buyers are asking themselves right now. On one hand, there are many compelling reasons to purchase at this time. On the other hand, there are many reasons buyers are afraid to take the leap when the market is so uncertain. The Chicago Tribune recently analyzed this question and made a convincing argument for either situation. Selection: In today's slower market, the selection is plentiful. Plus, buyers do not have to feel pressured to make a decision on the spot. Buyers can take their time and browse through numerous listings to find a home that suits their tastes without having to feel like they are settling for what is available. Mortgage Rates: Rates are still very attractive. As long as you have good credit and are not taking out a jumbo loan, you can likely find a 30-year mortgage for under six percent. No competition: Unlike the market two years ago, buyers are not competing with each other for the right to buy a certain home. This means buyers will not get into uncomfortable bidding wars with other buyers. Due Diligence: Without the pressure caused by a seller's market, buyers can take time to make certain the home they are buying has been thoroughly inspected and is free of defects. Several years ago, some buyers would forfeit the inspection in order to guarantee they got the home. Now, home-buyers can use the inspection report as a bargaining tool to get the home fixed to their liking. Bargaining: Home-buyers in today's market are in control. With high supply and low demand, buyers can negotiate with desperate sellers to sell the home on the buyer's terms. As a result, buyers are getting great deals. Falling Prices: Without a doubt, one of the biggest detractors from buying a home now is the fear that prices will further decline. The real estate downturn that the Chicago market has recently experienced has fared well compared to the rest of the country's similar experience. Buyers fear to invest in an asset that could potentially depreciate in the short term. Doubt: With the uncertainty of a possible recession, some buyers are reluctant to buy a new home for fear of financial troubles in the years ahead. Financing: Interest rates may still be low, but obtaining a loan has become much more difficult. Buyers with low credit scores are faced with high rates-if they can even obtain a mortgage. Plus, the new lending requirement is making it difficult for even the most creditworthy borrowers. Verification of income and employment are required and borrowers must have money in the bank. Sellers do not get it: Some sellers are still living in the fantasy that their home is worth more than what they paid for it two years ago. Some stubborn sellers are unwilling to come to terms with the fact that the market has remained stagnant for the last two years and therefore, their home is not worth what they think it should be. Until these sellers adjust their home prices to market value, the market slowdown will likely continue. As we have said for the last several months, the active adult market is a different animal than the rest of the real estate market. With an ever increasing number of people age-qualified and willing to live in adult communities, we have seen a stronger performance in this segment of the market. Furthermore, with only a small portion of the adult buyers affected by the lending problems, active adult buyers are having less difficulty making a purchase than the rest of the real estate market. In this slower market, pent up demand for active adult communities has steadily increased. Frustrated sellers are anxiously awaiting the sale of their home so they can have the opportunity to buy in an active adult community. When the market inevitably turns, active adult communities could be the first to see the increase in sales. That is why it is our opinion that if you have the opportunity to buy in an active adult community, now presents a great time to do so.